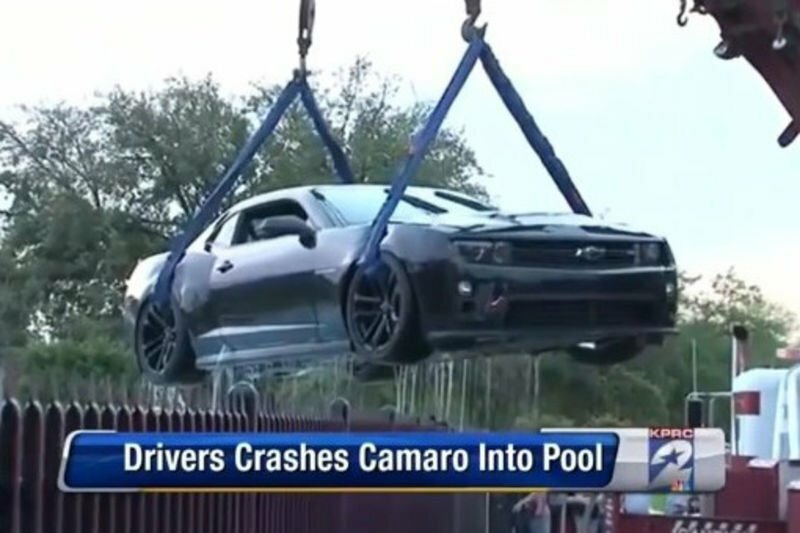 Home / Automotive / News / Video: Idiot Teen Driver Crashes New Camaro Zl1 Into A Pool! Just imagine looking out your back window, when all of a sudden, a sports car is sliding sideways into your pool. Luckily, it doesn’t look like anyone was out there when it all went down. Video: Lamborghini Murcielago Spins Out In The Rain And Crashes Hard! Video: $4million Laferrari Hypercar Crashes Onto Boulder In Italy! Video: This Biker Has The Luckiest Escape From Death By Brutal Car Crash, Ever! Video: Rally Driver Crashes, Causing A Huge Fire, Leading To Another Crash!